I decided I was too close to Togo to not visit; I have been in Togo two times before and decided I should return to visit my friends. 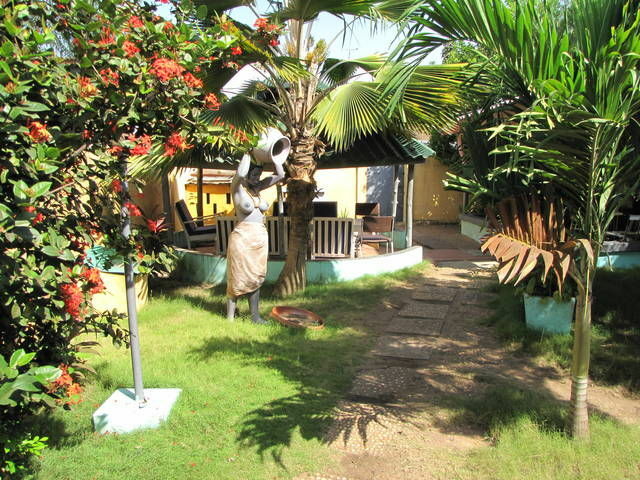 This statue is in the courtyard area in front of my seven Dollar room here in Lome, Togo. There must be a reason why so many artists make statues sensual. 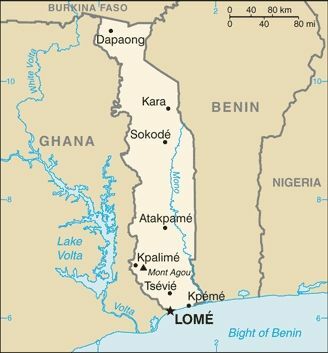 Map showing Lome, Togo in West Africa. 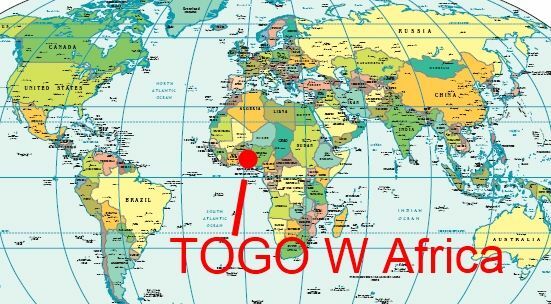 Map showing the location of Togo in Africa. Where I am presently living in Lome, I will head North on Friday to Atakpame, then Kara, then Dapang, then Cinkasse. 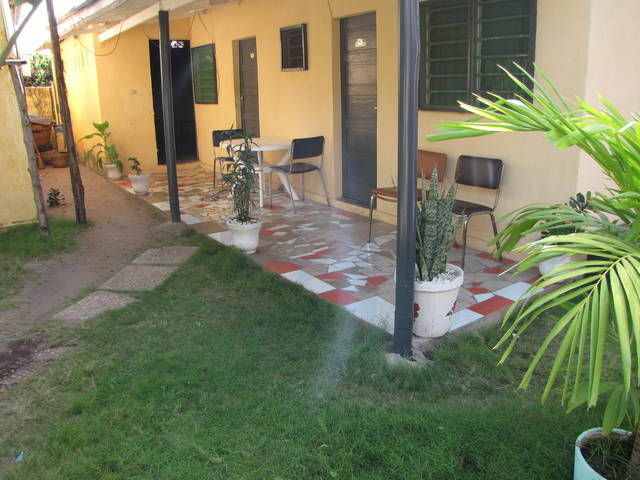 This is the patio area in front of my room. I recommend you never come to West Africa, the place is horrible, this place is reserved for only me, and nobody else is needed. I took a direct "Ford" van from the Elubo side of the Ghana / Ivory Coast border. Noe is on the Cote d’Ivoire side, and Elubo is on the Ghana side. It was supposed to take 8 hours more or less to travel to Aflao direct in an air-conditioned Ghana Van. Well, the van did not have AC; we got stopped at a Ghana Border Checkpoint for three hours. They said the driver was drunk and two Togo boys did not have passports. They finally let us proceed after they all paid a bribe. Then the van got to Accra just as the sun went down, proceed to stop working. I jumped out, snagged another Tro Tro Van to Accra, and changed vans and went to Aflao at the border and arrived at midnight. What started as an 8 hour trip, turned into an 18 hour trip. I like Ghana, but mainly because I can speak English easier.